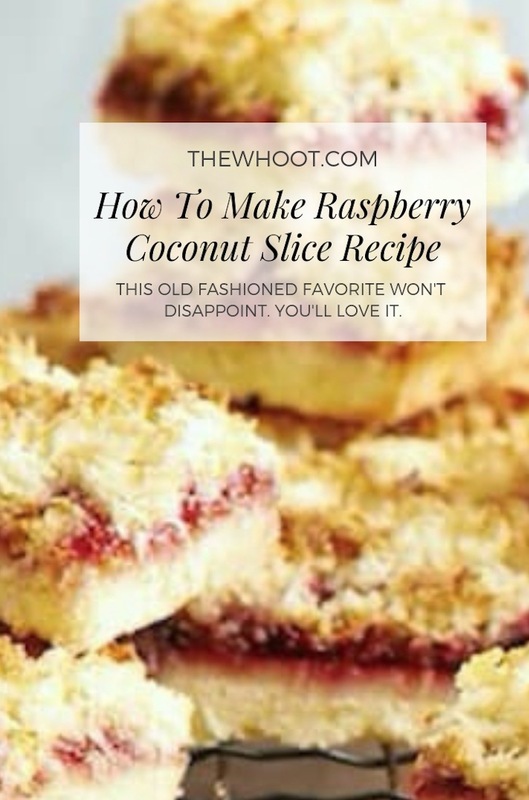 This Raspberry Coconut Slice Recipe is a family fave that gets rave reviews. 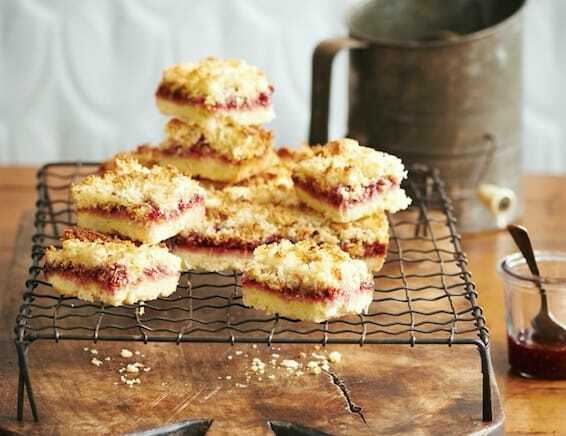 It’s perfect for afternoon tea and will be a hit with all that have it. Check out this recipe now. When it comes to old fashioned faves, our friends at Foodiful have a stranglehold. Their site features wonderful collections of recipes that bring the memories flooding back. 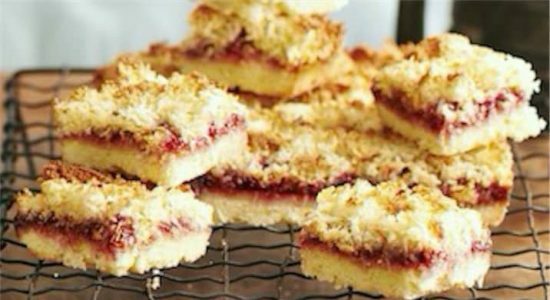 When we spied Barbs Raspberry Coconut Slice, we put in a request to share with our Community. We knew how much you’d love it and today, you can learn how to make your own at home! 1. Preheat oven to 180°C (356F). Lightly grease an 18cm (7inch) x 28cm (11 inches) rectangular slice pan. Line base and sides with baking paper, extending paper 5cm above pan edges. 2. Beat butter, sugar, and vanilla in a small bowl of an electric mixer until light and fluffy. Add egg. Beat until combined. Stir in flour until mixed. Press mixture evenly over the base of prepared pan. Smooth over top. 3. Bake base for about 15 minutes, or until lightly browned. Remove. Set aside for 10 minutes to cool. 4. Meanwhile, to make topping, combine all ingredients in a medium bowl. 5. Spread jam over base. Spread topping over jam. 6. Return slice to same moderate oven. Cook for a further 25 minutes, or until top is lightly golden. Allow slice to cool completely in pan. 7. 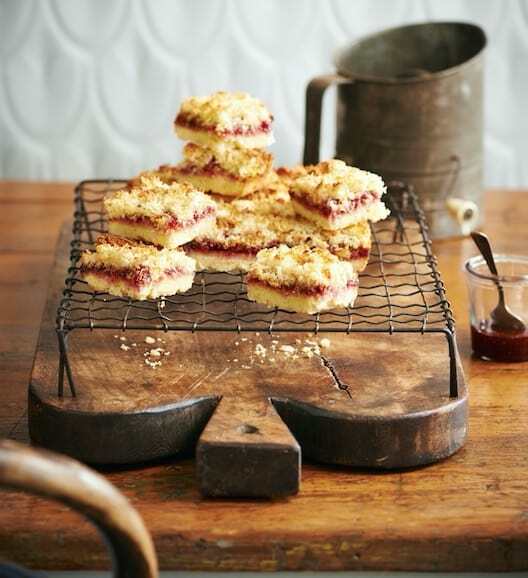 Lift slice from pan, cut into squares to serve. As mentioned earlier, Foodiful is one of our favorite recipe sites. We thank them for sharing this recipe and if you have enjoyed it, please join their free newsletter and follow them on Facebook too.